In depth researches revealed thousands of years back the most important sciences and scientific concepets were originated from Asian region and migrated to europe hence dispersed and became popularized worldwide as they were originated in europe. 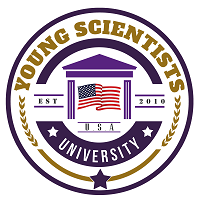 The leadership of Young Scientist University decided to dig that hidden talents of Asians again by focusing its faculties more in the asian region. India and Sri Lanka were selected in the first place for them to establish their prominent faculties with its affiliations and academic collaboration considering all othere stratergic advantages they have at present.